We are offering Karl Fischer Volumetric Titrator to our clients. 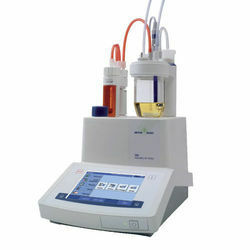 - Fischer Titrator designed for accurate estimation of moisture contents in various samples. - This is a junior version of the Model VEEGO/MATIC-MD. Electrode : Twin Platinum electrode. 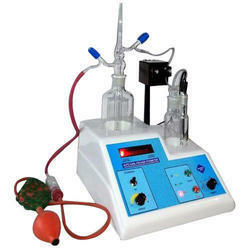 We offer Automatic Fischer Titrator. It is advanced micro controller based user-friendly state-of-the-art design with alphanumeric splash waterproof polyester soft keys for keyboard. Quick Interchangeable imported burette assemblies with intelligent recognition for its volume size. For more details refer to the attached document.